Hannah wants babies, but her health is in such bad shape she can't. That's why she has reached out to Chris and Heidi. She is at 310 pounds, approximately 150 pounds overweight. She has tried to convince everyone that she doesn't hate herself but that's just not true. Hannah put on the majority of her weight during the last three years of college and that's when she met her husband. Her first goal is to be down to 230 pounds by the end of Phase I and do it completely makeup free. 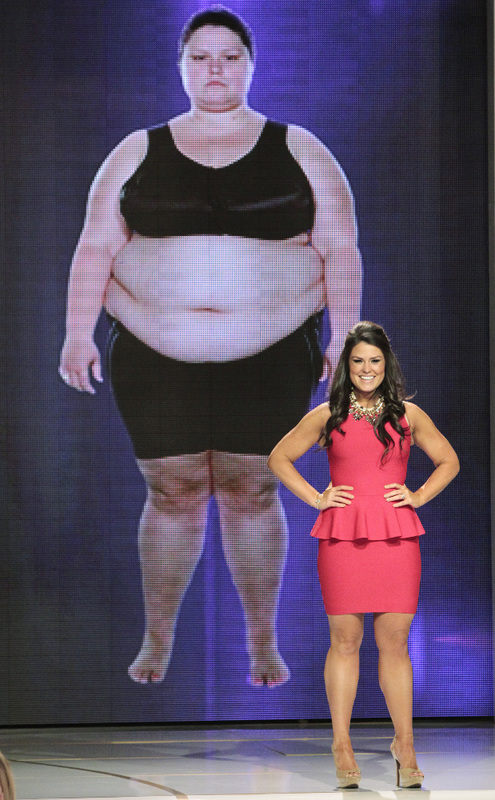 Extreme Weight Loss: Kim's Incredible Transformation! Jacki is a 44 year old mother of two in Denver who is approximately 135 pounds overweight. The emotional trauma that caused her to pack on the pounds was when when her toddler sustained a head injury at his day care and they weren't sure if he would survive. He had shaken baby syndrome. It's an injury to the skull or brain of an infant, cause by intentional blunt impact of violent shaking. He did survive but it changed the family's life. The care taker was sentenced to 5 years in prison.